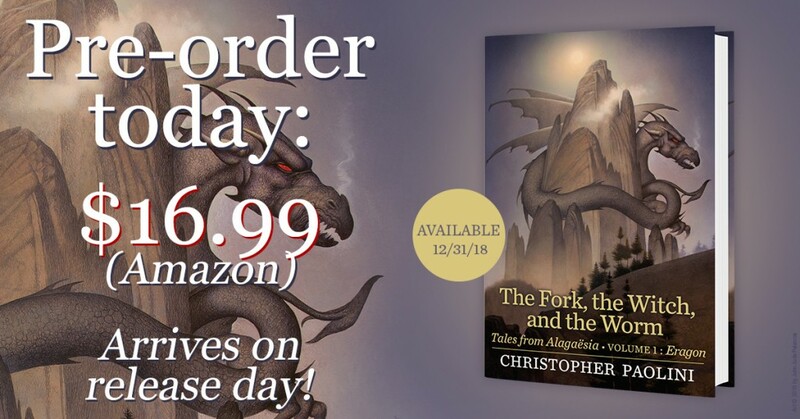 The first significant update we’ve had on Christopher Paolini’s upcoming “The Fork, the Witch, and the Worm – Tales from Alagaësia” book is a big one! Today, Christopher shared an excerpt from the novel as well as a new illustration with pop culture website Den of Geek. The excerpt is from Eragon’s part of the story, part of Chapter IV: Rhymes and Riddles. In it, we encounter several fan favorite characters and learn key details on progress out east. Let’s break it down! We’ve broken down and analyzed the excerpt below. Our comments are interspersed throughout, featured in bold red text. You can read the excerpt without our commentary here. Eragon stared across his desk at Angela the herbalist, studying her. Angela and Solembum are back! We know one of the short stories – “The Witch” – is told from herbalist’s perspective. The book’s synopsis mentions “a wanderer” – we’re willing to bet that’s her (and Solembum). This is the first concrete information we have on where Eragon’s new dragonhold is located. We know that he, Saphira, and the elves set out toward the eastern part of the continent, but it’s been unknown how far they went and where they ended up. This establishes their permanent location as Mount Arngor. Interestingly, the “effects of the Beor Mountains” on the weather could imply that the group didn’t settle too far from lands seen on the map of Alagaësia. “Eastern plains” does suggest that Mount Arngor isn’t a part of the Beor Mountains. In fact, the map of Alagaësia shows what could be the beginning of the “eastern plains” in the lower right hand corner, directly to the right of the dwarf city Galfni. There is a chance that the Beor Mountains do extend further east, as we don’t see the final mountain drawn on the map. The Edda River, which the group followed on their journey, could very well turn south off the map. Two important pieces of information here! First, Eragon’s dragonhold isn’t a major secret. Travelers are welcome; so far, human traders, although it’s possible others, including dwarves, elves, and Urgals, have shown up prior. Eragon and company will need all the supplies they can get, so it only makes sense to establish trade routes early on. This also suggests that the dragonhold isn’t too far off the map, with regular humans managing the trek. Even more important: Elva is back! We expected her return because of the “cursed child” tease in the synopsis. That tease is paired with the “wanderer” bit discussed above, solidifying our belief that “a wanderer” definitely refers to Angela. 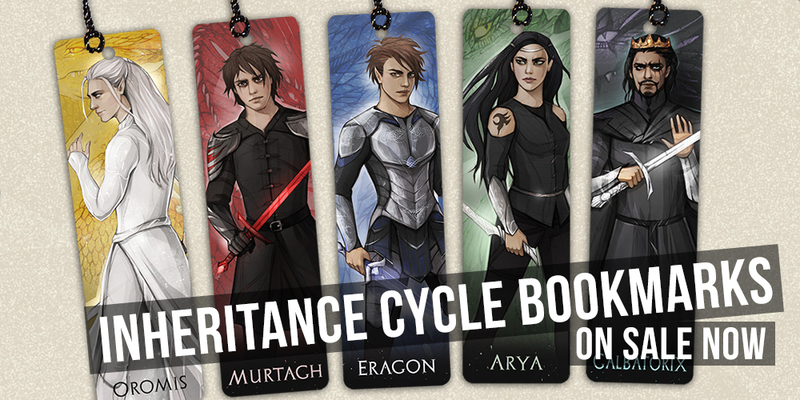 This is an interesting and disappointing update (hence Eragon’s desire to grimace). 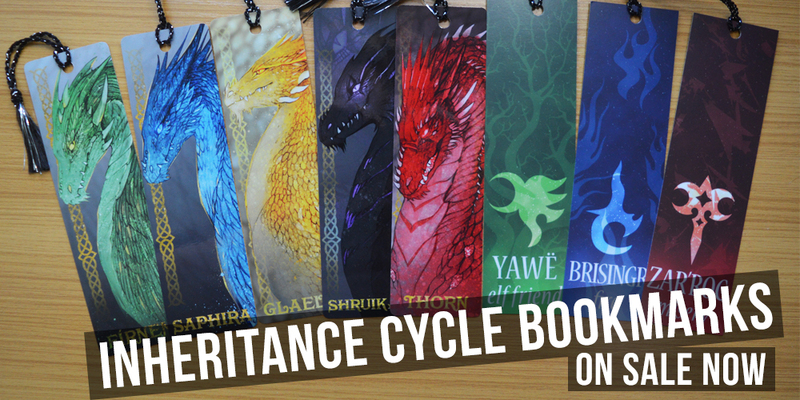 It’s been a year since the events of Inheritance – plenty of time for new dragons to hatch. It seems those in charge have discouraged the eggs from hatching until the dragonhold’s construction is near completion. This also reveals that Alagaësia doesn’t have any new Riders. If an egg left behind in Alagaësia had hatched, that dragon and its Rider would have already arrived at the dragonhold. This leads to a big question: have the dwarves and Urgals begun introducing younglings to the eggs they were given or is that on hold as well? This is really sad bit – Saphira hasn’t laid any eggs. As we mentioned above, it’s been a year since the end of Inheritance, when she and Fírnen mated before leaving Alagaësia. We don’t know the length of a dragon’s gestation period – a year or more could very well be normal – but Eragon’s uncomfortable reaction to the question may hint at bad news. This could either be a short term problem (resolved by waiting longer or mating again), or indicative of a larger problem for Saphira… could she be unable to conceive? This is one heck of a first excerpt! Our thoughts and theories above are far from confirmed, and we could be completely off the mark or missing something! We’d love to hear your thoughts and theories in the comments! There’s also a ton to more know about The Fork, the Witch, and the Worm, all of which can be found on our page for the book! You’ll find new information on Shur’tugal as soon as it’s released! To keep easier tabs on our news, follow us on Facebook, Twitter, Instagram, or subscribe to our newsletter.